The legendary Doom In Bloom Festival (est. 1996 at Farbstrasse, Bietigheim-Bissingen, Germany) can be viewed as a precursor of the Doom Shall Rise (R.I.P.). 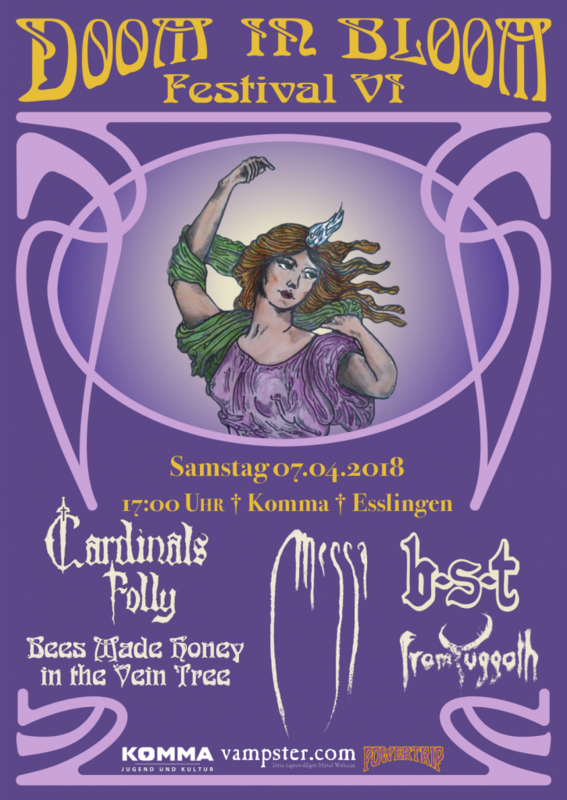 The 2018 edition is the sixth event of this legendary German Doom Festival. Always non-profit and with supportive heart for the doom scene. It is a festival from fans for fans and the basic idea and burden of Doom in Bloom is bringing international Doomheads together. Therefore we want to connect established acts with the local scene and emerging talents.